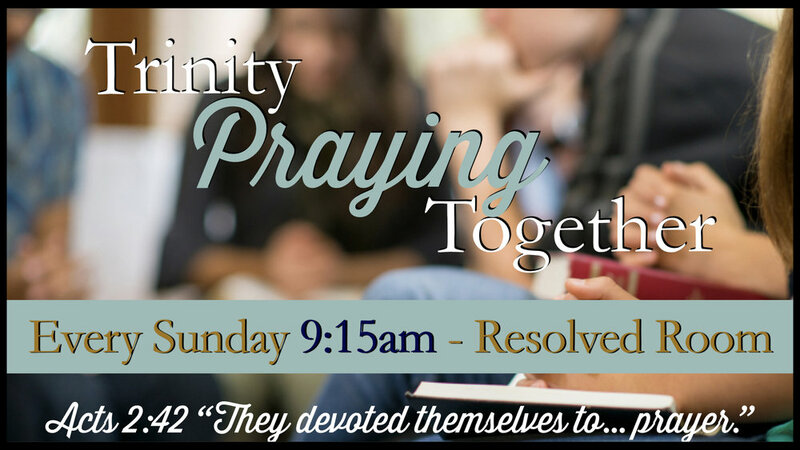 All are invited to join the Sunday Morning Prayer at 9:15am! Location: North Corner Room of the Building (all glass windows)(easy to see when you pull up). Each week you will find a new Scripture on the whiteboard as the room gathers to seek the Lord and call upon His Name. We are young and old, men and women and we desire to grow in prayer together. Some of us pray aloud and some pray silently, but it is an encouraging excellent time together.